I need to set up a Google Alert or something for things like this. But I just wanted to let you all know (since I assume you are all huge J.K. Rowling fans like myself.) 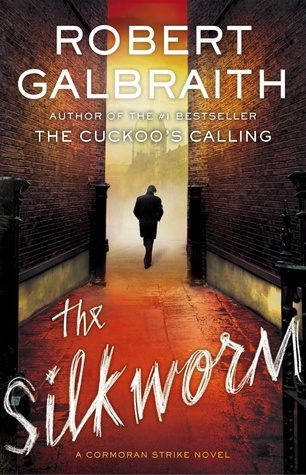 that J.K. Rowling AKA Robert Galbraith has a new book out! LAST MONTH. I don’t know why she didn’t call me to tell me. I thought we were besties, but whatever. It’s called The Silkworm, it’s another Cormoran Strike mystery and I’m so pumped to run to Chapters and shriek the entire time up until I finish the book. Allison Abate • This entry was posted in Mystery and tagged cormoran strike, J.K.Rowling, mystery, new books, robert galbraith, the silkworm. Bookmark the permalink.